The Baby Bentley Limousine with its sleek stretched design oozes style and character. 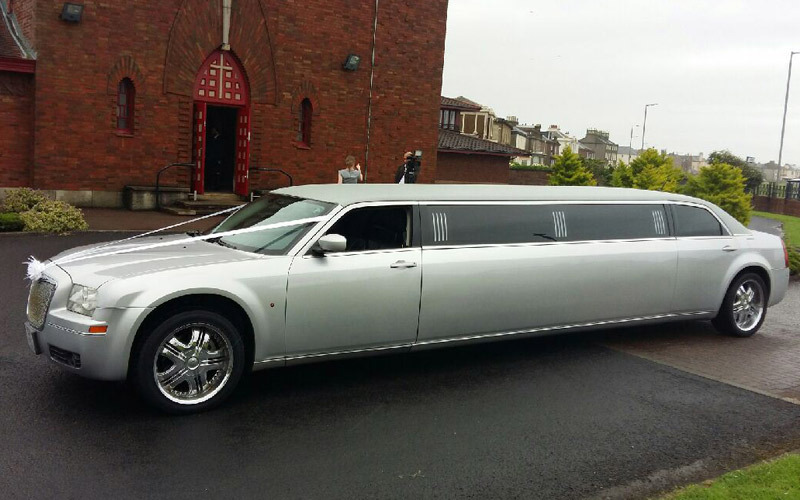 It is among our most popular cars at Glasgow Wedding Cars with a metallic silver finish, two-tone light grey and black leather interior. 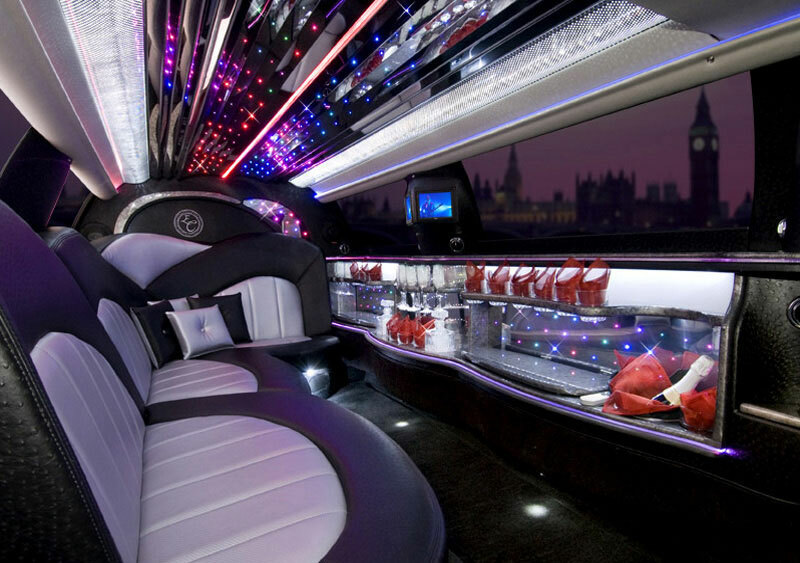 The luxury features you get including a ceiling that changes colour, a high-quality sound system, full-fibre optic mirror, a bar, and a flat-screen TV with a DVD player. 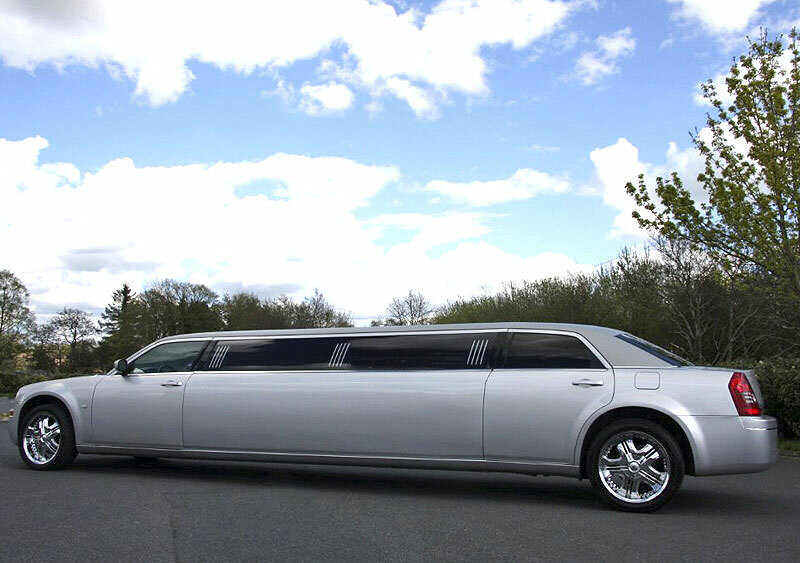 The ample space in the limousine is perfect for both groomsmen and bridal parties. 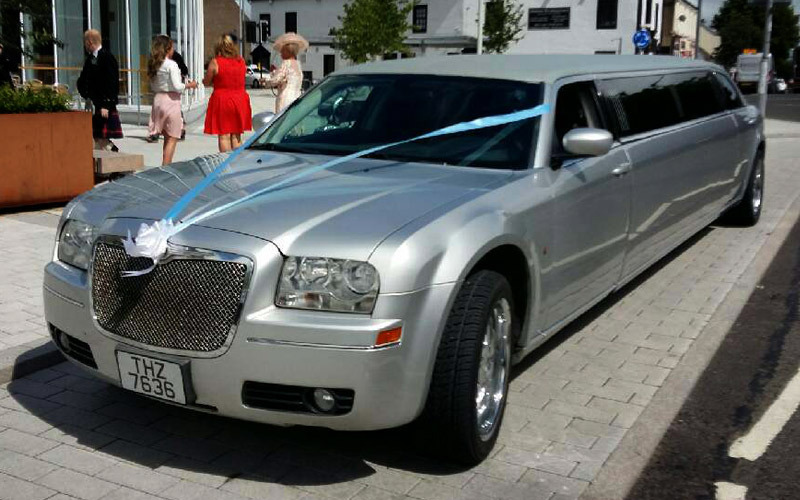 The Baby Bentley is ideal for weddings and special occasions as it is the perfect party car. Stun your guests and the special someone for your big day as we dress her up with ribbon decorations which are available in a vast choice of colours of your choosing. No car can be more perfect for your wedding day! 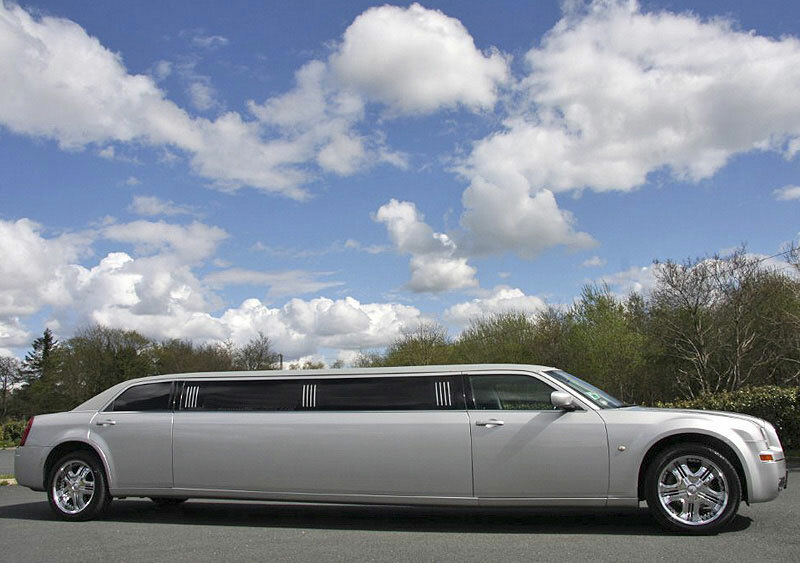 Before you book a car, we would love for you to visit us and have a look at our collection of wedding cars in Glasgow. This way you can truly appreciate its stunning looks and amazing condition. 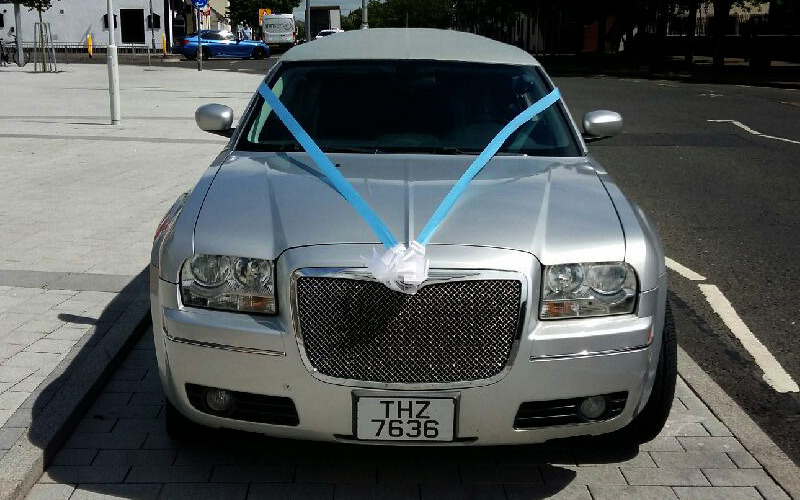 At Glasgow Wedding Cars, we offer both ‘home to venue’ packages, and ‘full wedding packages’. You can select the one that best suits your needs.